Airbus announced a rebranding for its corporate jets. The rebranding includes a new ACJ logo, new colours and aircraft model names that reflect “aircraft improvements, the company’s culture of innovation and family commonality”. The new colours comprise metallic-blue shading on the fuselage and tail, highlighted by flowing curves that echo the colour schemes often chosen by Airbus corporate jet customers, and are accompanied by a new “Airbus Corporate Jets” logo. 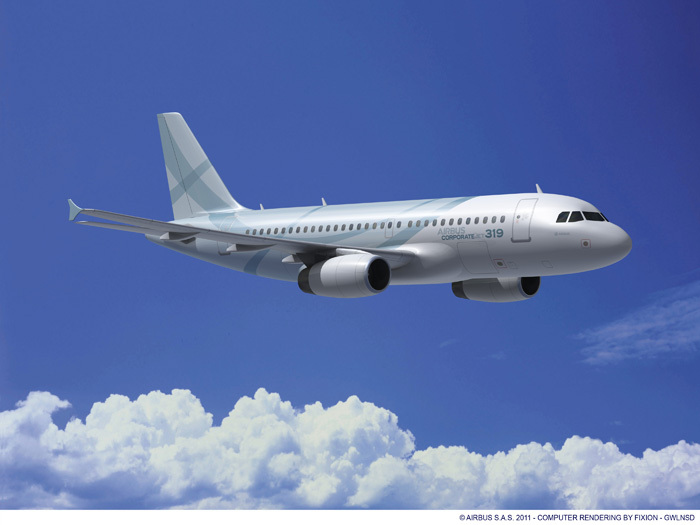 “Airbus ACJ” will now precede the model of the airliner from which each corporate jet is derived, with the A318 becoming the Airbus ACJ318, and so on throughout the family, all the way up to the Airbus ACJ380. Airbus corporate jets feature cabins that allow customers to take into the air the comfort and space that they already enjoy at home and in the office, as well as features that differentiate them from their airliner counterparts. For the Airbus ACJ318, ACJ319 and ACJ320, these features include a reinforced structure and additional centre tanks (ACTs) for greater range, built-in airstairs for greater autonomy, and high-thrust engines for good take-off performance. 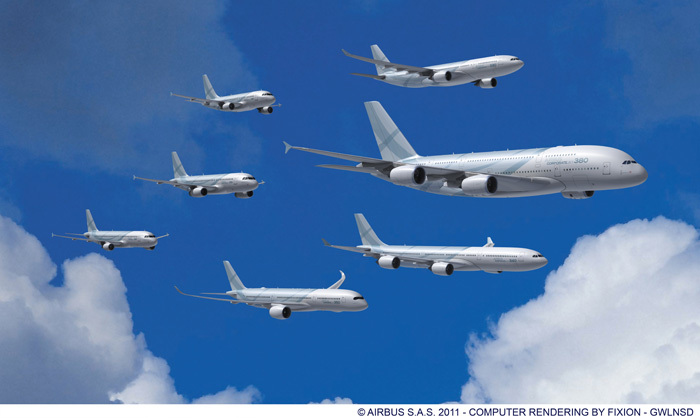 Modern Airbus aircraft use new technologies such as fuel-saving aerodynamic designs, weight-saving new materials such as carbonfibre, and common cockpits and centralised maintenance to simplify operation and minimise costs. Airbus corporate jets have won more than 170 sales to date, and are flying on every continent, including Antarctica.